We have two specialized R&D departments for components and cooling units, focused on the development and testing of all the new projects. Our specific know how in liquid cooling enables our people to focus on demanding applications, where the reliability and performances are the key factors. The two departments work together providing an all-around approach to the thermal problem. COOLTECH provides turn-key solutions for OEM manufacturers. 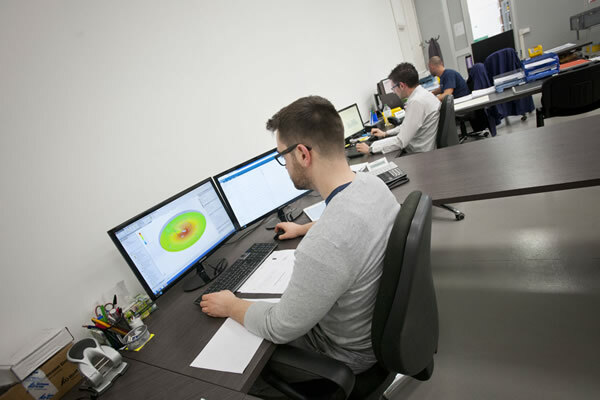 Our thermal engineers design liquid cold plates and heat exchangers from 50W to 15kW, with a wide experience on CFD simulations and CNC machining technologies. R&D works side by side with manufacturing department, in order to have the best time to market. A specialized team designs and produces customized cooling units, named ALS (air to liquid), LLS (liquid to liquid) and CCS (compressor based). 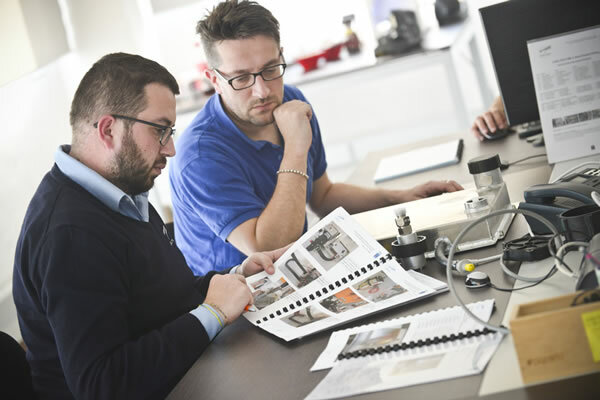 Our team includes mechanical engineers, software engineers and PLC experts. 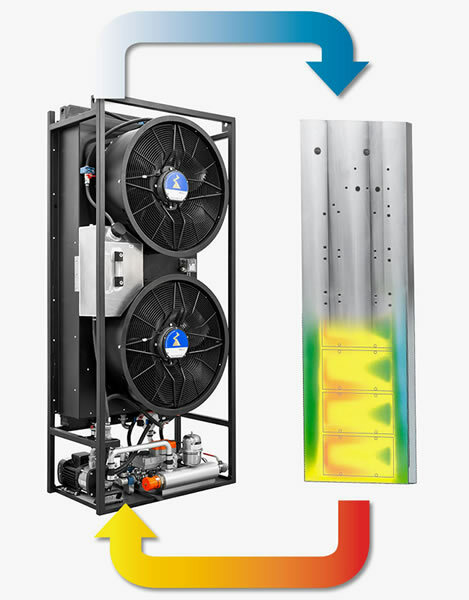 ALS: Air to Liquid cooling units up to 100kW. LLS: Liquid to Liquid cooling units up to 300kW. CCS: Compressor based chillers up to 30kW, based on R134a and R410a refrigerants. Low level programming: Visual Studio, C++. High level programming: Labview, Twincat 3 (Beckhoff), TiaPortal (Siemens).